What is RaceAnalyse made for? RaceAnalyse works for Bike, Car, MX & Kart Racing as well for all motorized vehicles on race circuit and/or public street driving. For each driver needs specific web applications will be available. This high precision system is designed for professional timers, event organizers, track and club owners, federations and sports areas as well as for individual racers and street fighters. How does the RaceAnalyse System work? 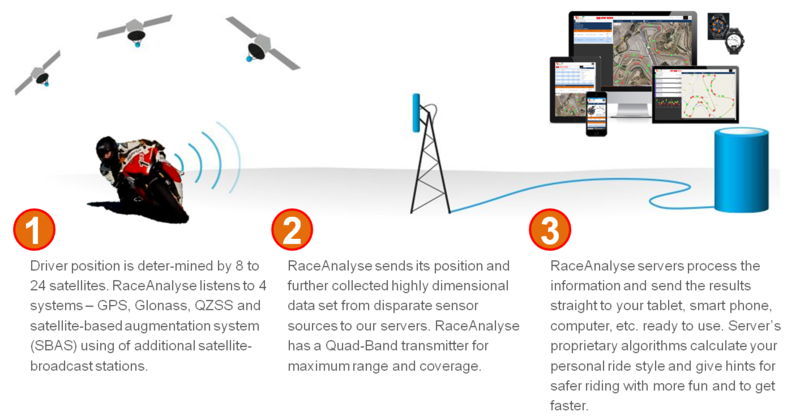 RaceAnalyse uses the Global Navigation Satellite System (GNSS) network to determine and track 10 times per second (10Hz) its precise location. 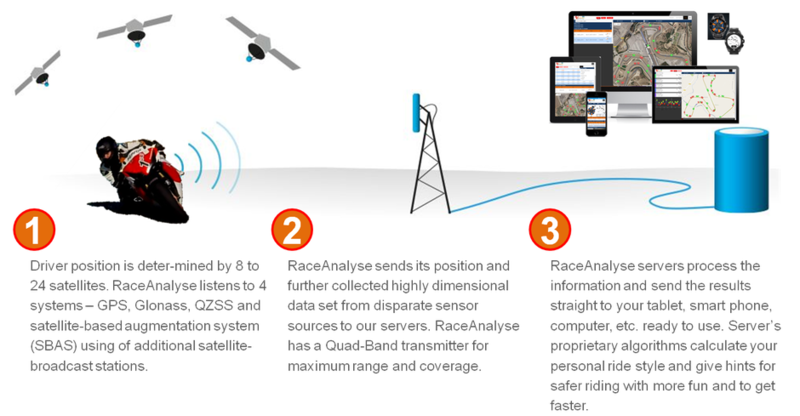 This exact positions, further GNSS related measurements and the 9 dimensional sensor data are transmitted to the RaceAnalyse internet-connected servers, using the embedded cellular GPRS/GSM modem. These encrypted data and unique ID are forwarded to the RaceAnalyse web applications via the world wide web network. What makes the RaceAnalyse System unique? Plug&Play is just one of the exceptional advantage enabling on-line data transmitting to the internet via the built-in cellular module. Back in your driver box your precise session analysis is via world wide web on your tablet, smartphone or computer ready to use analysed. No wiring, screwing and cables are needed. For your race laps analysis no data transfer manipulation as memory stick management, Bluetooth or USB connections is required. Lap times, split and sector times, optimum lap time, driver line, apex, turn in points, speed, rolling phases, leaning angle, break points, acceleration points, deviations to optimal line, side by side comparison to trainer and/or other drivers and much more. Can I analyse additional vehicle sensor data as well? Yes, virtually there are no limits. The RaceAnalyse transponder incorporates a Bluetooth-4 interface. Therefore it is ready to connect with e.g. ECU/OBD2 dongle to analyse RPM, throttle position, temperatures, wheel speed, traction and others. What is the advantage of A-GPS? Assisted GPS (A-GPS) is a system that is able to significantly improve the startup performance of a GPS system. 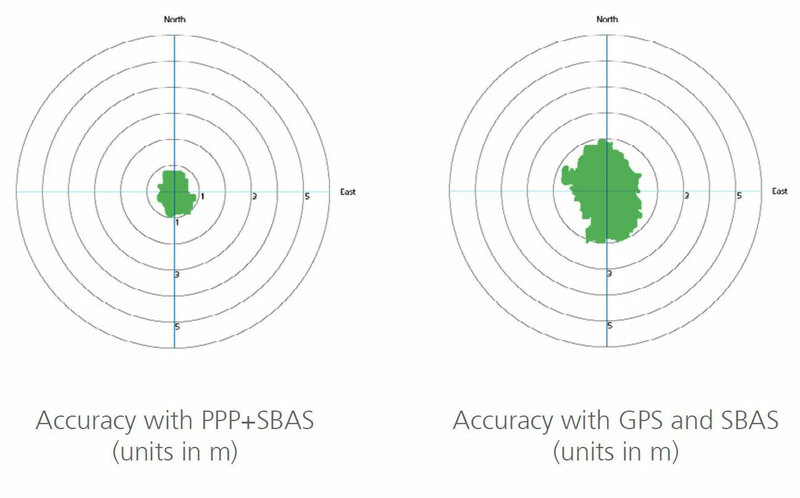 Standalone GPS units depend solely on information from satellites. 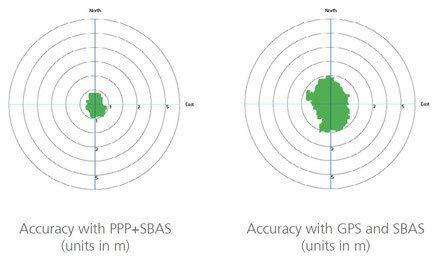 A-GPS augments that by using cell tower data to enhance quality and precision when in poor satellite signal conditions. This is a unique RaceAnalyse feature since it has a built in cellular internet link.